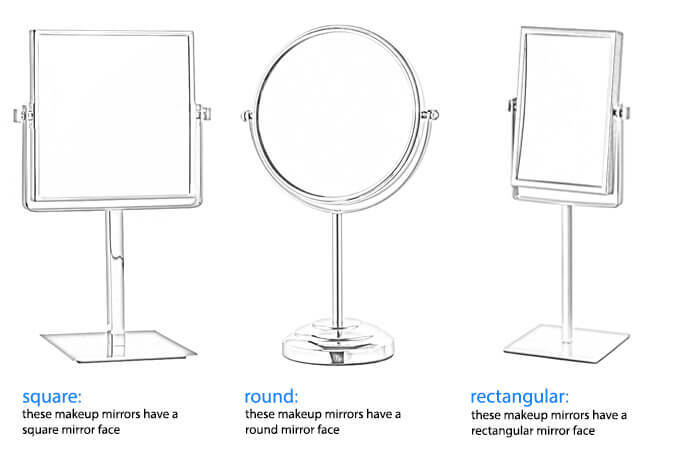 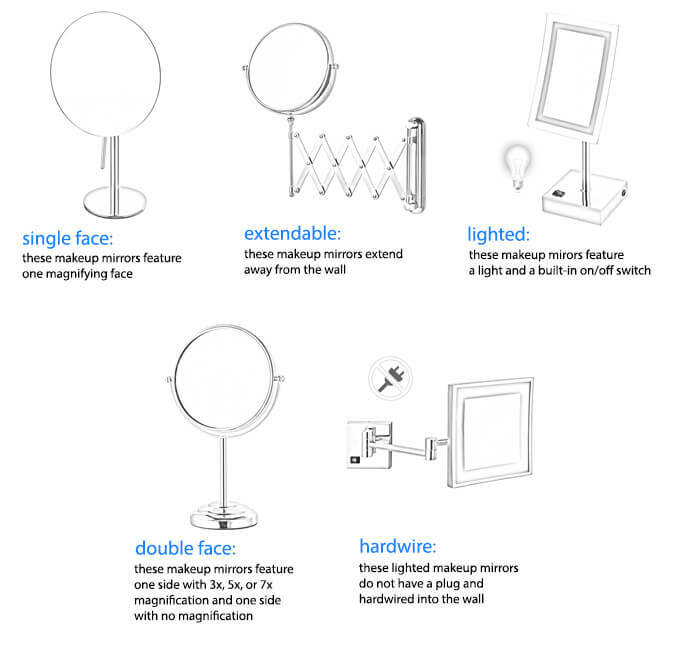 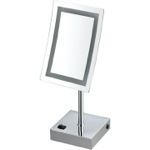 Rectangular single face makeup mirror with 3x magnification and built-in LED light. 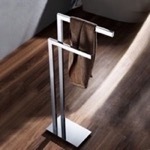 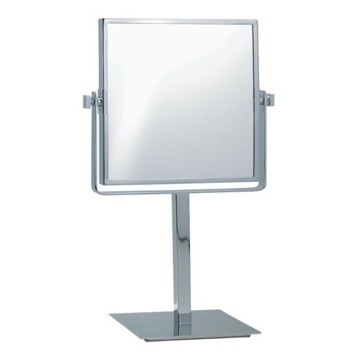 Free standing mirror made of high quality stainless steel and available in chrome. 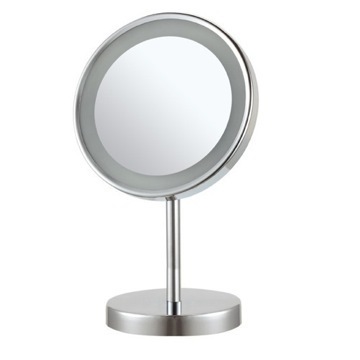 This mirror is very sturdy, takes a relatively small amount of space on my vanity, and overall is of excellent quality. 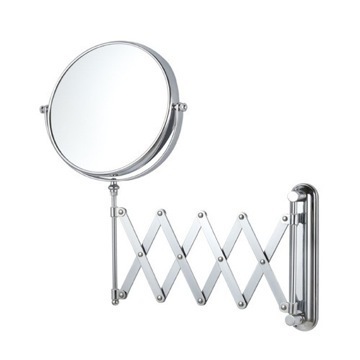 I am enjoying my mirror and would recommend it to anyone. 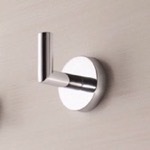 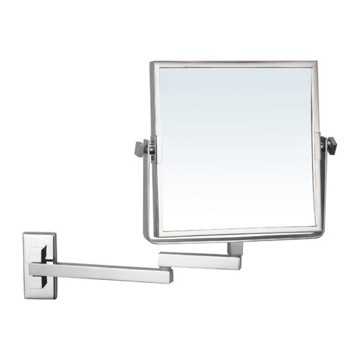 I would also recommend TheBathOutlet.com to anyone who is in need of good looking, highly functional, good quality bathroom accessories. 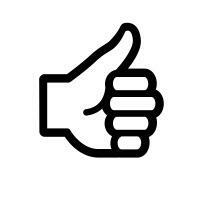 My order arrived very quickly and was fully traceable. 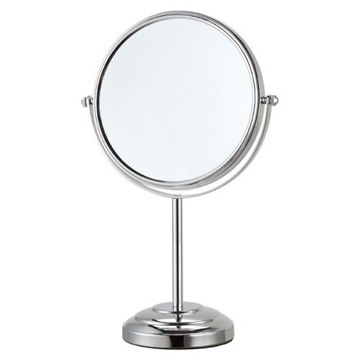 A mirror was a bit damaged and the exchange has been done promptly with smooth interaction. 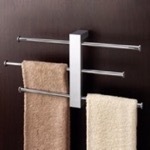 Really happy with TheBathOutlet! 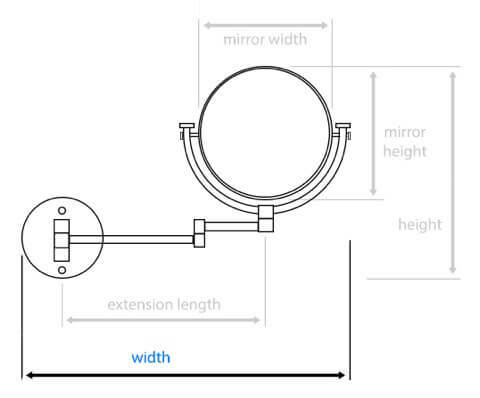 Is the lighting adequate and more than one setting? 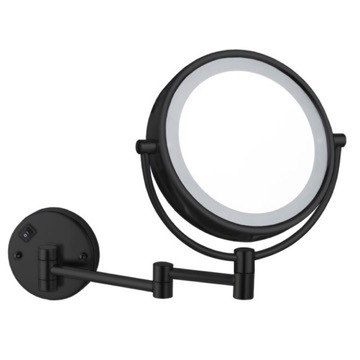 The lighting is more than adequate for any application means; however, can be based on opinion. 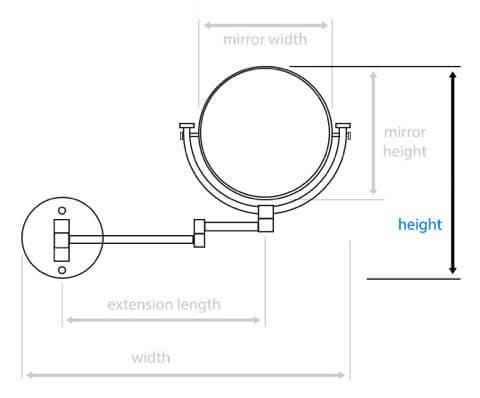 There is only one setting for the light. 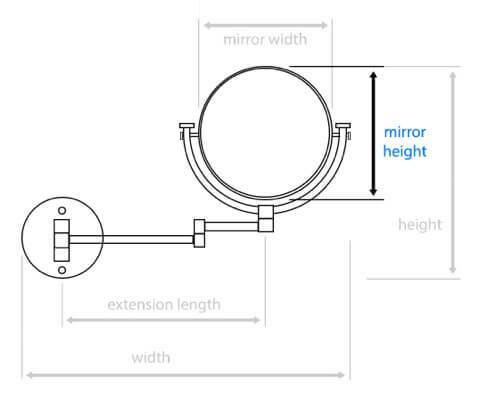 Can I purchase a replacement glass? 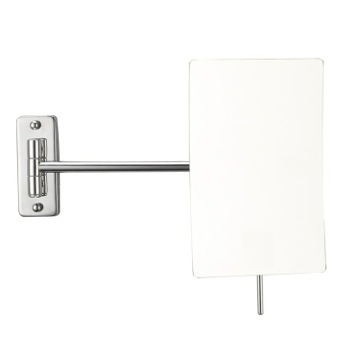 Replacement glass is available for this item if the product has purchased with TheBathOutlet. 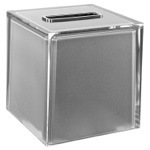 A replacement glass is $100.00 NET per + plus any applicable shipping fees. 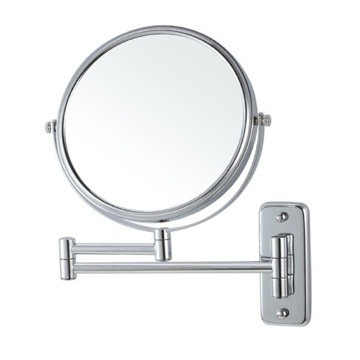 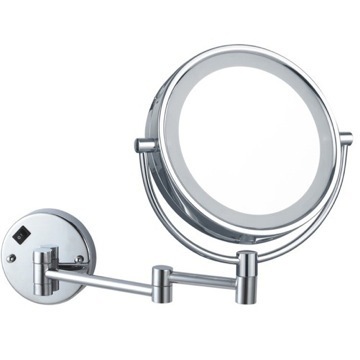 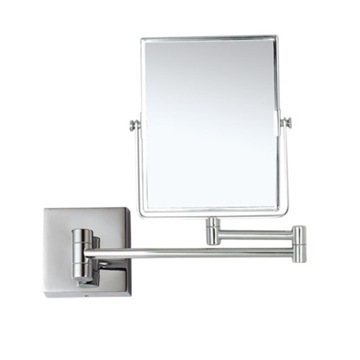 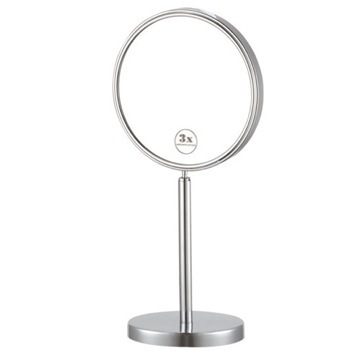 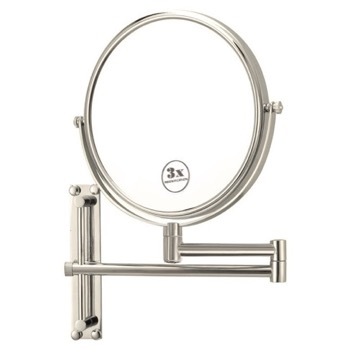 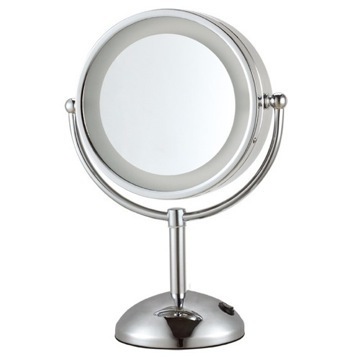 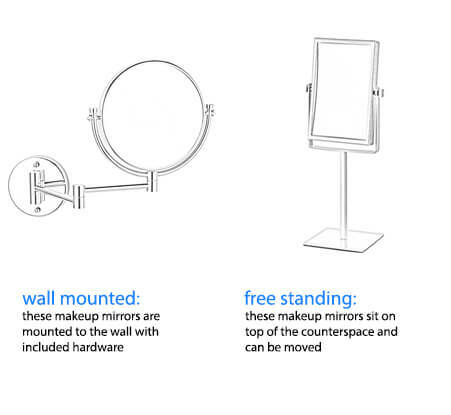 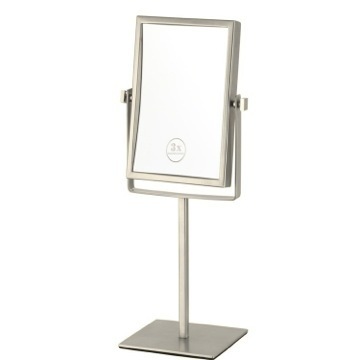 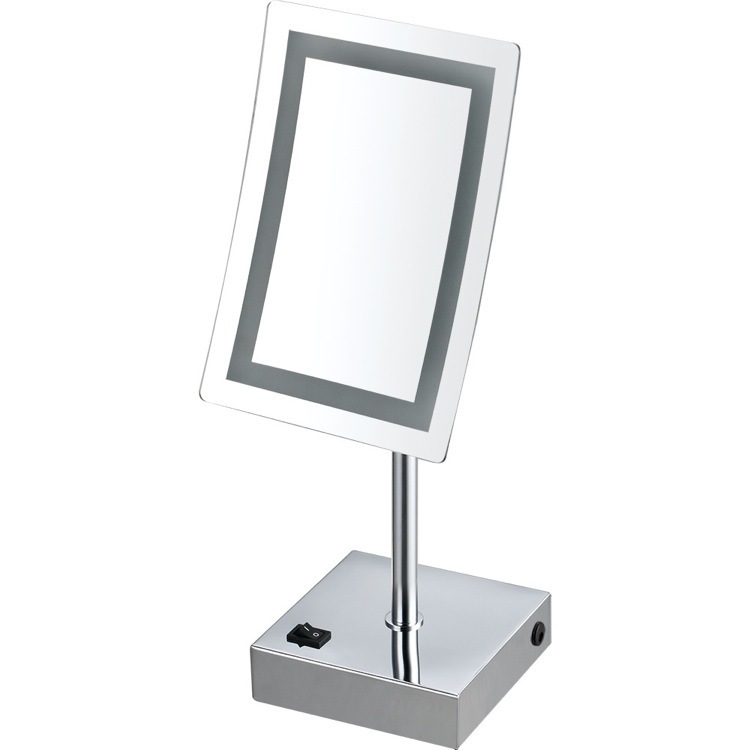 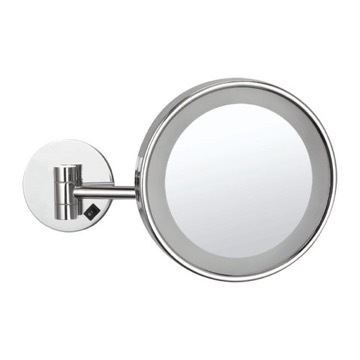 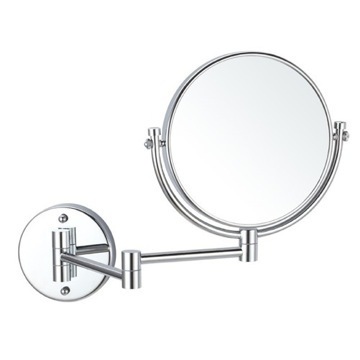 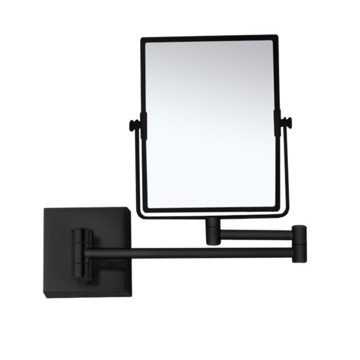 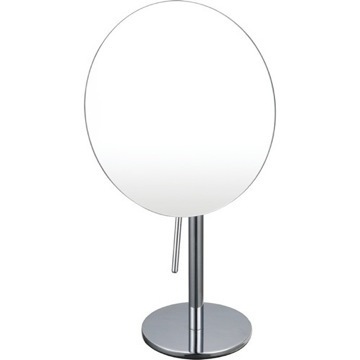 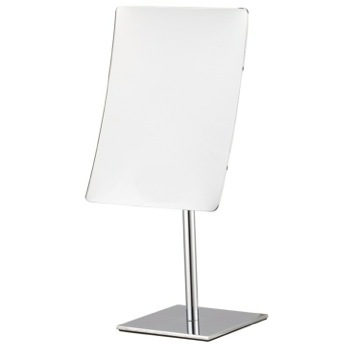 This type of free standing mirror is powered with a wall outlet chord, as pictured below. 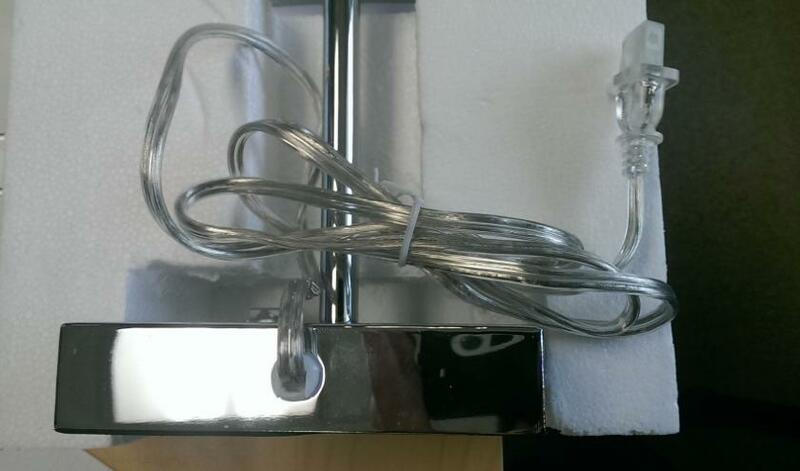 Is this hard-wired or battery powered? 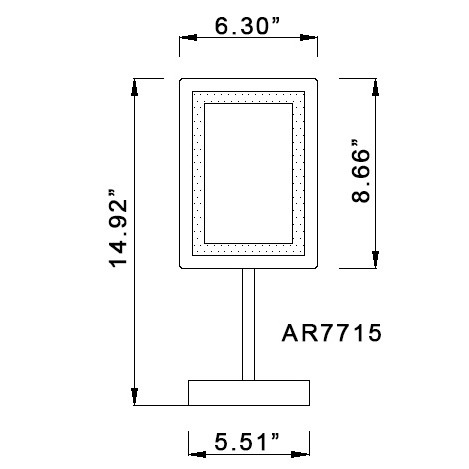 This will have a plug to input into a wall socket. 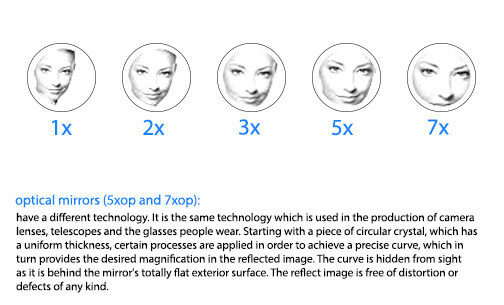 Do you have any more tech specifications? 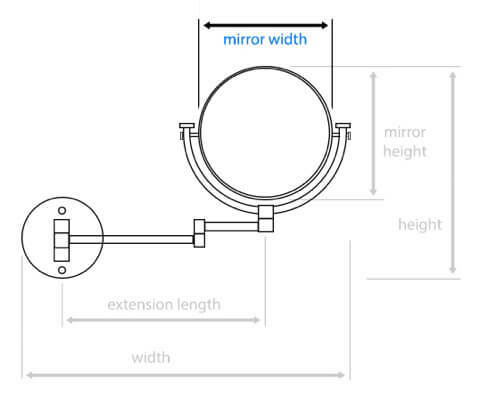 Overall mirror size (including light and finished trim) - 6 1/4" x 8 5/8"
Lighting portion thickness - 5/8"
Mirror portion thickness - 1 1/4"
Mounting base - 5 1/2" x 5 1/2"
Base depth - 1 1/4"